Families are stronger when they are together, helping in the healing process. By staying at RMH Westmead, parents and carers can better communicate with their child's medical team and keep up with complicated treatment plans when needed. Located adjacent to the Redbank Road entrance of The Children's Hospital at Westmead, the House provides close and easy access to specialist facilities within the Hospital and a caring, homely haven for time out at the end of the day. 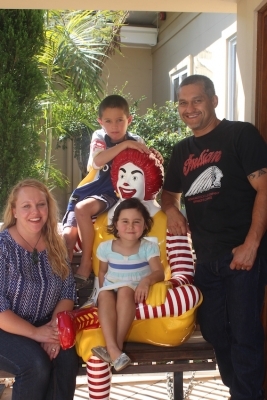 RMH Westmead is helping to provide services at no cost, allowing families to go between their own home and accommodation in the city. Being able to accommodate the whole family during the length of their child's treatment in hospital means that families are less likely to have to leave their communities and relocate to the city on a permanent basis. They are also able to stay at the House surrounded by the support and comfort provided by the staff, volunteers and other families, allowing them to concentrate on their child's recovery.